US sources claim that President Uhuru Kenyatta dropped at Amherst College, in Massachusetts. - Bana Kenya News, Real African Network Tubanane. Home featured Social media US sources claim that President Uhuru Kenyatta dropped at Amherst College, in Massachusetts. US sources claim that President Uhuru Kenyatta dropped at Amherst College, in Massachusetts. The visit of the Mombasa governor to the US also created a tie between the two countries where investors liked the move of coming to the coast region to invest after elections. Some close allies of the Mombasa Governor Hassan Joho revealed that President Uhuru Kenyatta did not complete and dropped in the second year at Amherst College, a prestigious private liberal arts college in Massachusetts, US. The allies visited the school to confirm but they were shocked instead. Their intentions were not clear why they visited the college but for quick answer, it was only to find the truth as allegedly said by late Jacob Juma. It is not clear now who went to school and who did not because of the back and fourth political criticisms. The sources also says that he attended the school in early 1980s but he did not finish because his name was not on the schools database. 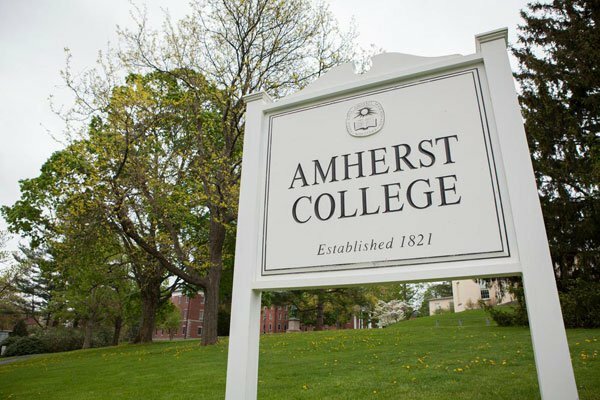 According to our latest research of finding who were the students in the Amherst college in 1983,4,5 we did not find his name. We talked to some people about the academic papers of the most influential people in Kenya and these are some of their responses.
" There are so many politicians with fake academic papers e.g Mike Sonko, Charity Ngilu, Ferdinand Waititu and even the president as allegedly by the late Jacob Juma. " Said Mohamed Issa from Garissa. "The academic papers do not define what a person is. People have 'A' in their papers but it all because of exam leakages. Now if the IEBC is serious about papers lets them look even people who had exam leakages" Said Mwangi Wairimu from Nyeri. "I believe in person and the ability to lead people. We have a professor as our senator here in Kisumu but nothing has done compared to the former illiterate mayors we had in the old days." Said Odhiambo Nick from Kisumu. Gideon Mung'aro was a beach boy and from a poor family. He struggled through his life until now he helps people. The only person in Kilifi who has helped many people is Mung'aro. The governor Amason Kingi has a law degree but Kilifi is still in its knees. I don't believe that to be a Governor you need to have an academic degree. A true leader is that one who look after his people and provide all essentials. " Said Mzee Karima Thoya from Dabaso Malindi.